Lao PDR will benefit from USD 72 million in new financing, under three projects approved today by the World Bank’s Board of Executive Directors, which focus on reducing malnutrition in children and improving public resource use and service delivery. 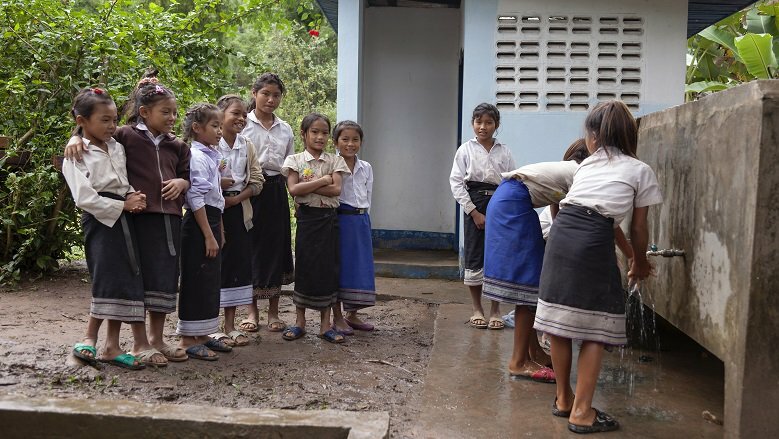 Households in four northern provinces with high levels of malnutrition will benefit from the USD 25 million Scaling-Up Water Supply, Sanitation, and Hygiene Project, which will provide access to improved water supply, sanitation, and hygiene services. These same families are targeted by the USD27 million Reducing Rural Poverty and Malnutrition Project, which supports the Government to strengthen the building blocks of a national social protection system and implement a conditional cash transfer program for improved nutrition. The innovative multi-sectoral nutrition convergence approach will come together in Xieng Khouang, Houaphan, Phongsaly, and Oudomxay provinces. In these areas, chronic malnutrition affects over 40 percent of all children under five, with long-term adverse impacts on height, brain development, and their ability to succeed later in life. These two new projects complement three others supported by the World Bank in health, education, and diversified food production. The USD 20 million Enhancing Public Finance Management through Information and Communication Technology and Skills Project builds on reforms already undertaken to put in place a basic public financial management framework. The preparation and implementation of this project is supported by the Public Finance Management Reform Program, funded by the European Union, which is providing technical assistance and capacity building.